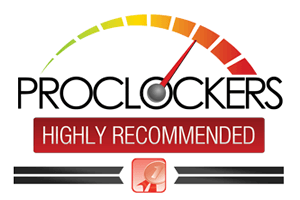 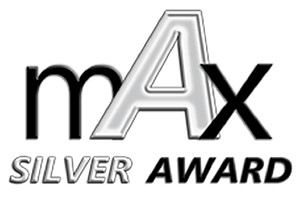 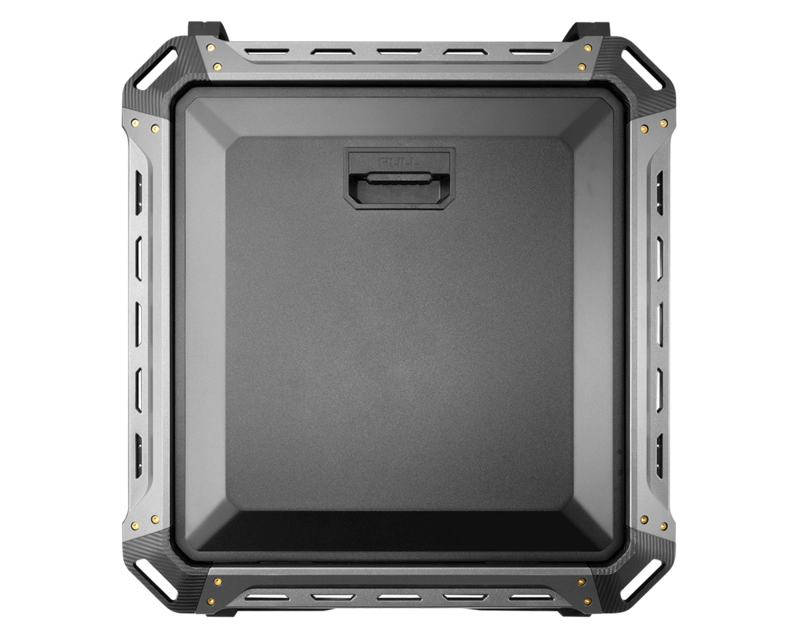 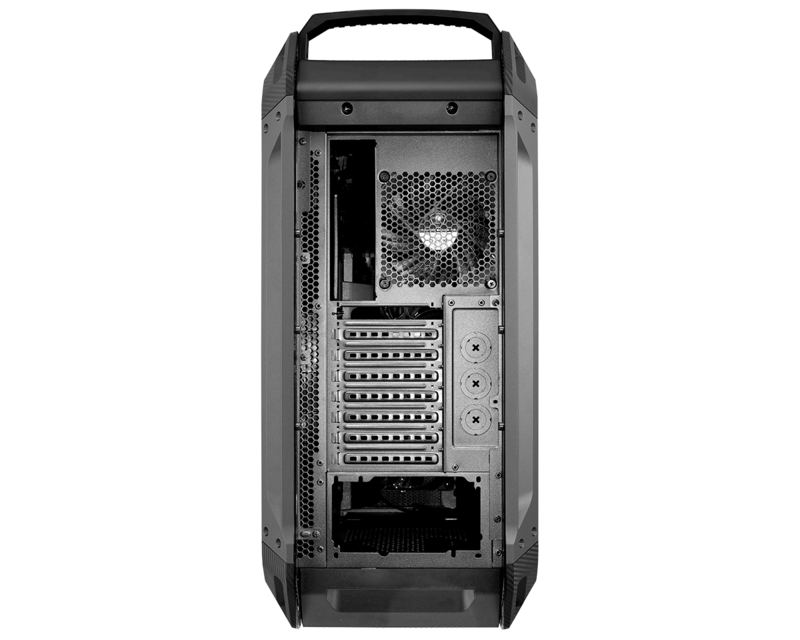 Panzer Max brings you unprecedented levels of freedom when designing your system. 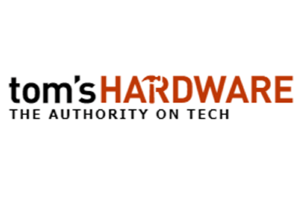 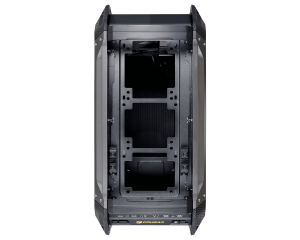 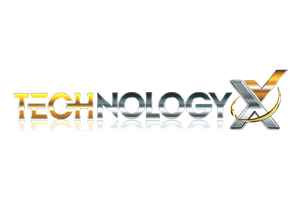 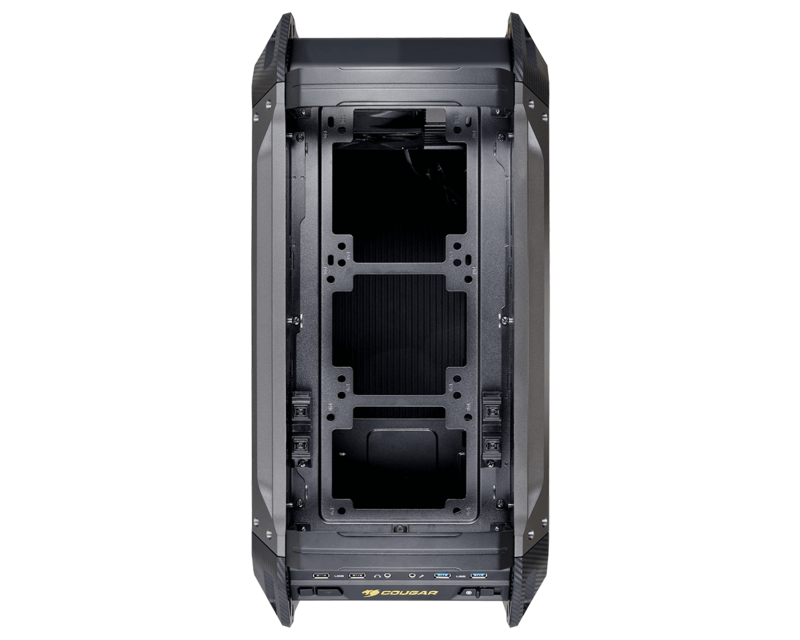 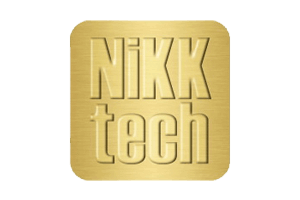 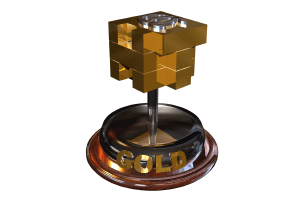 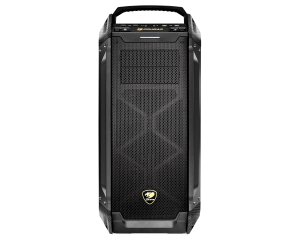 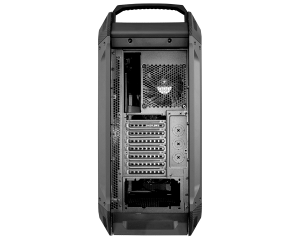 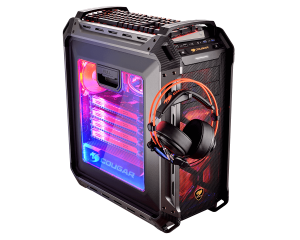 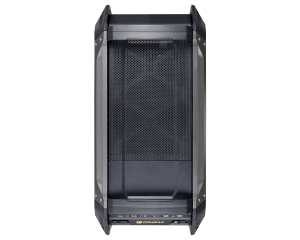 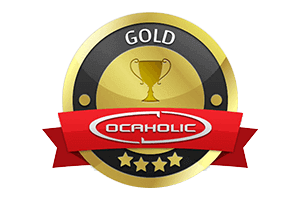 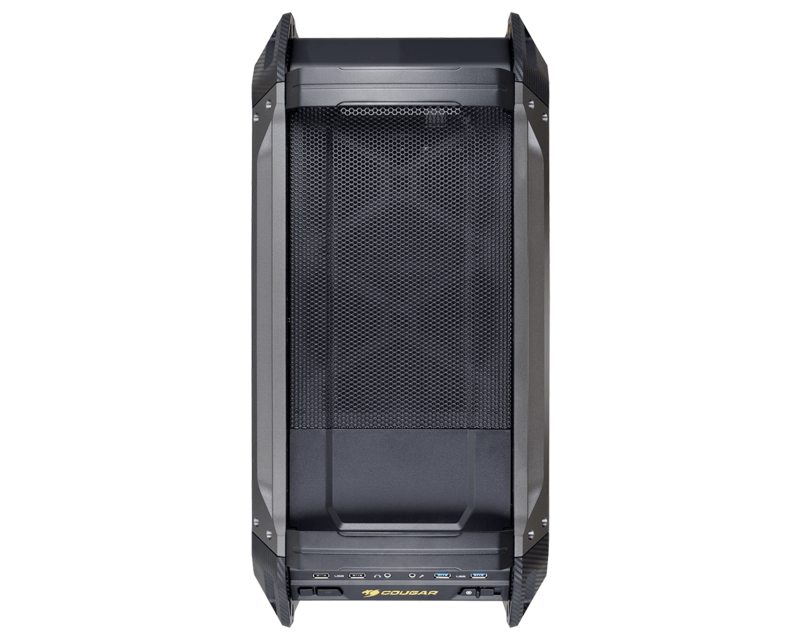 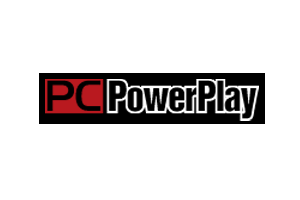 Its support for six different motherboard form factors and up to four double-slot 390mm graphics cards allows you to install all the computing power you need, while the possibility to host up to six storage devices will provide plenty of space for your files. Cooling is a critical factor for gamers, overclockers and PC enthusiasts in general, and Panzer Max offers all they could ask for. 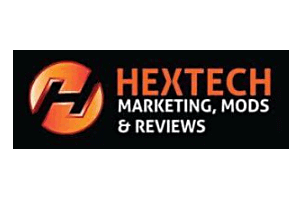 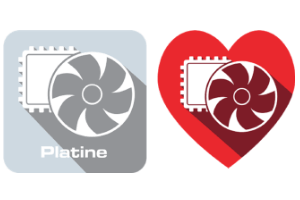 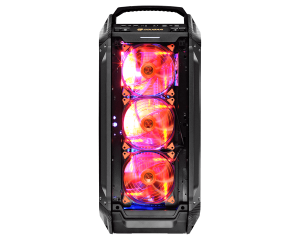 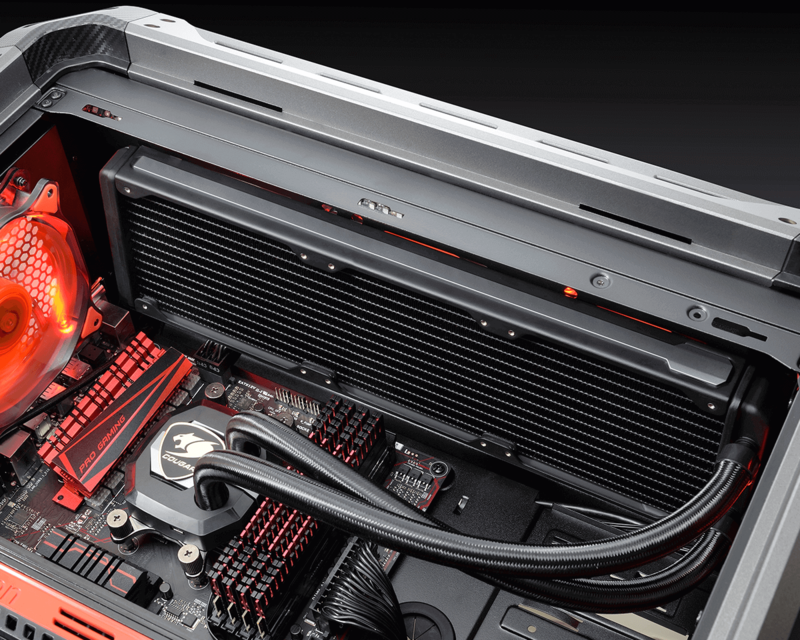 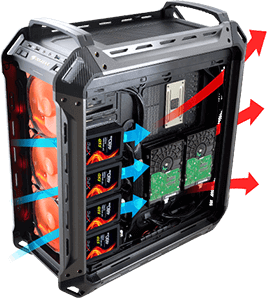 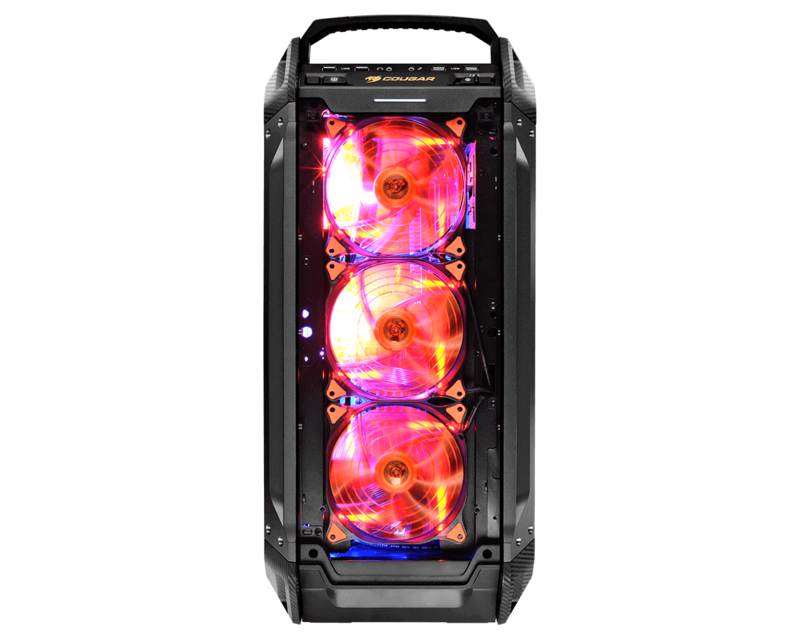 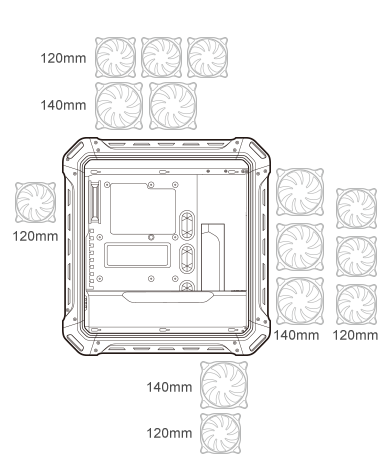 With support for up to eight fans and four water cooling radiators, you will enjoy more than enough cooling horsepower to keep even the most advanced components safe from overheating. 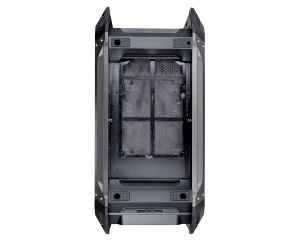 To complement this, its intelligent cable management System will keep all the cables behind the motherboard tray, allowing air to flow unobstructedly and dissipate the internal components’ heat. It doesn’t matter where you install it: a computer built in Panzer Max is an impressive sight. 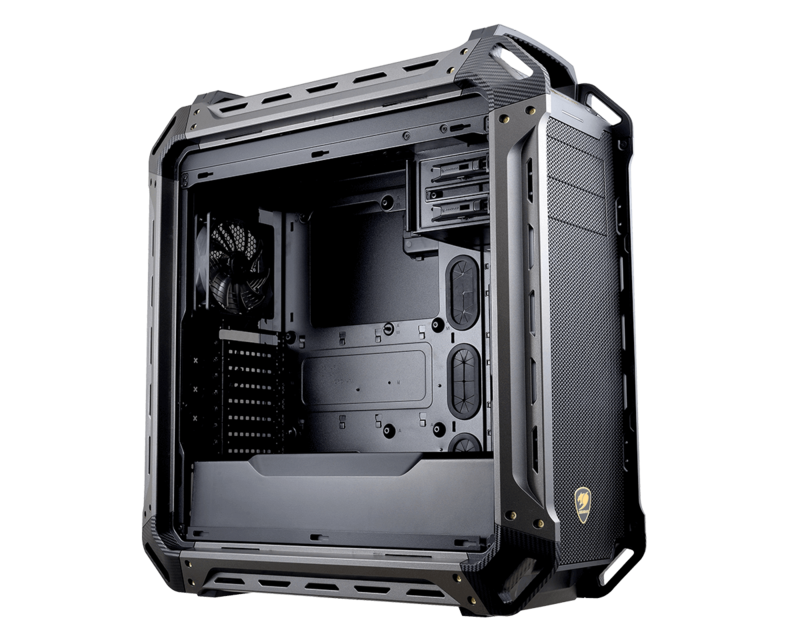 With a metallic-like military-inspired design with a big side window, this case can both be a professional looking armoured style build or a flamboyant LED fan equipped spectacle: the decision is yours. 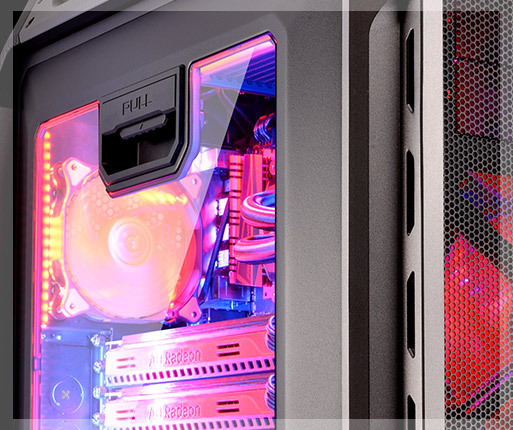 The easily removable covers and the orifices on all four sides make modding much more convenient, and allow you to transform it into whatever you want it to be. 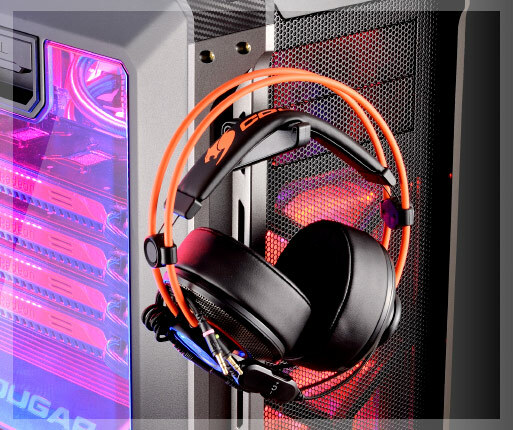 Convenient location for your headphones that saves you desk space. 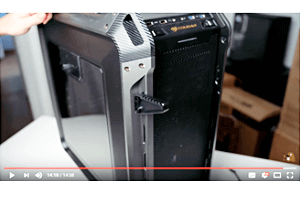 Liberate your desktop when you’re not using your computer. 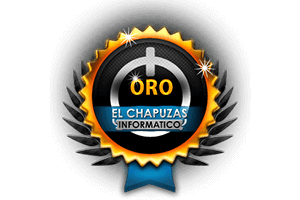 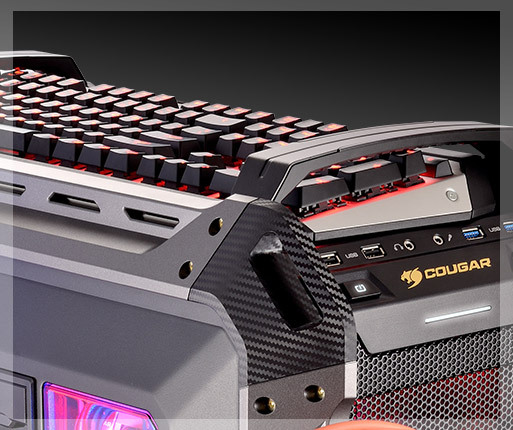 "COUGAR Panzer MAX demonstrated a good combination of compatibilit..."
"Cougar´s Panzer Max is extremely well screwed together. 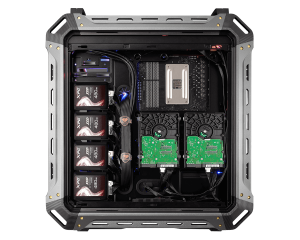 Whether ..."
"Working with a non-modular power supply makes for a number of ext..."
"Thanks in part to its toolless design, the case is also extremely..."
"un diseño robusto con estética militar enfocado a equipos de al..."
"Dafür überzeugt das Panzer Max mit einem exzellentem Airflow un..."
"Highly recommend for carbon-plastic military design enthusiast an..."
"Military unique design, a lot of space, perfect quality and funct..."
"you would be hard pressed to find the same quality and flexibilit..."
"˙Joli design & belles finitions ˙Cache alimentation présent et..."
"I love that the COUGAR Panzer Max behind me looks like it's metal..."
"Cougar PANZER MAX - waga ciężka wkracza do boju! 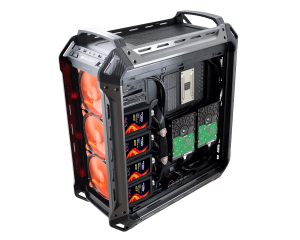 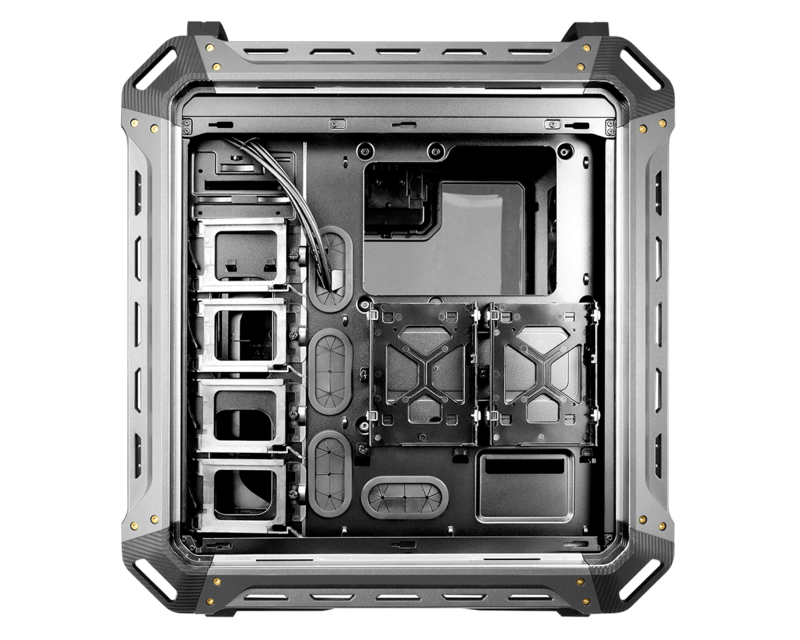 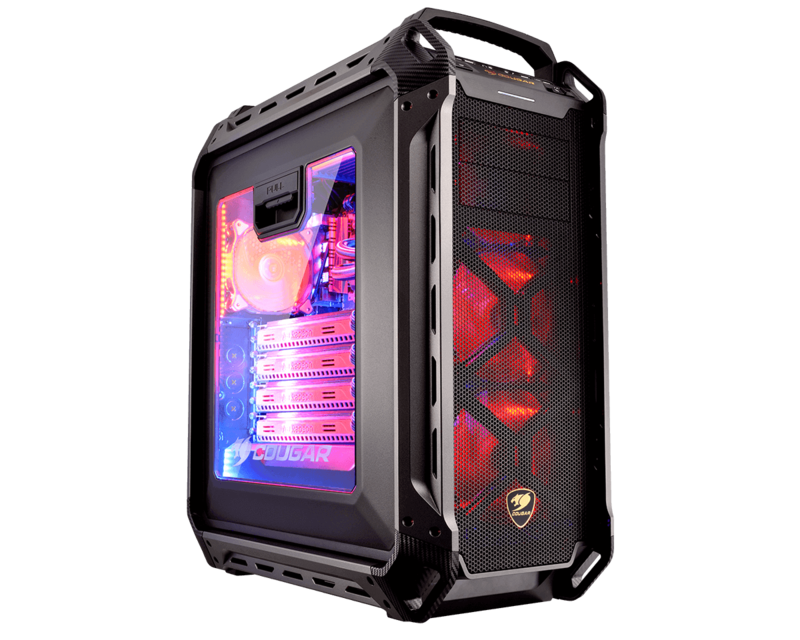 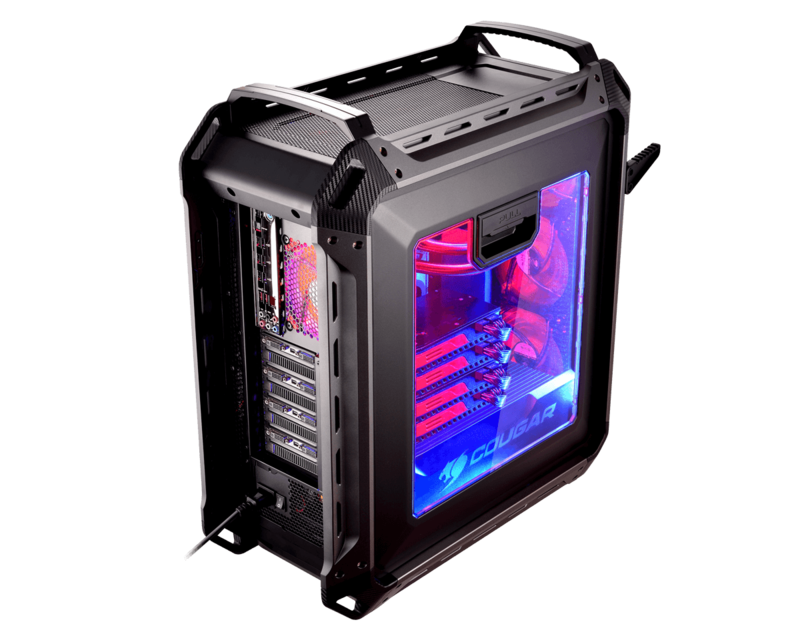 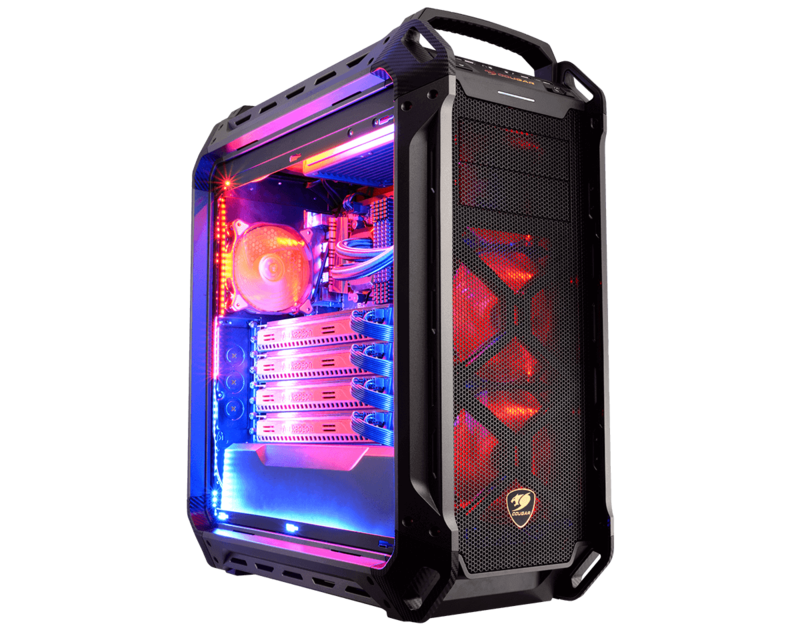 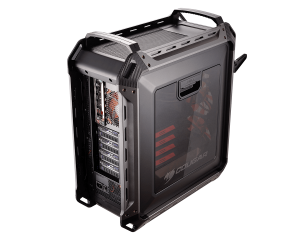 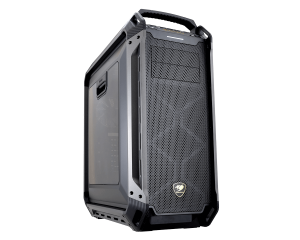 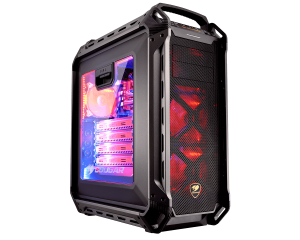 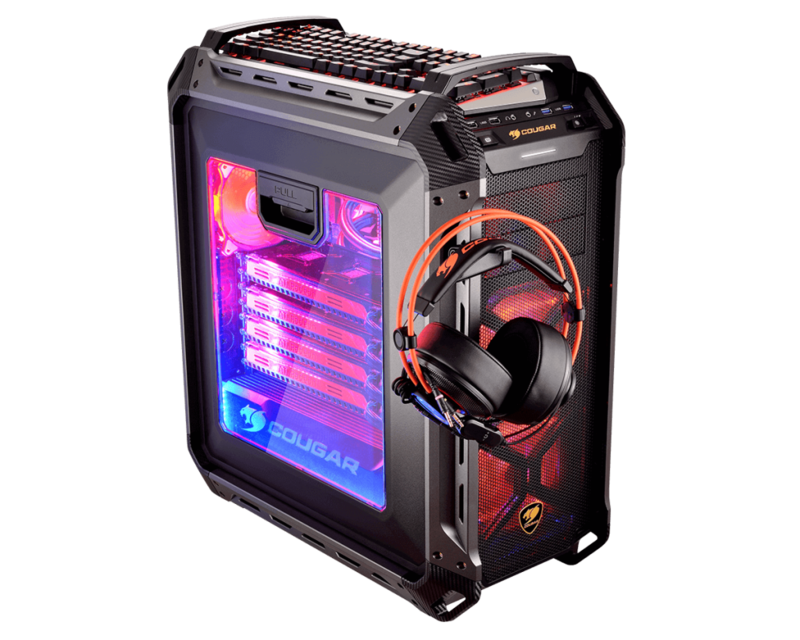 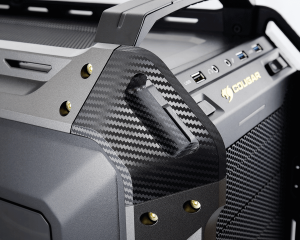 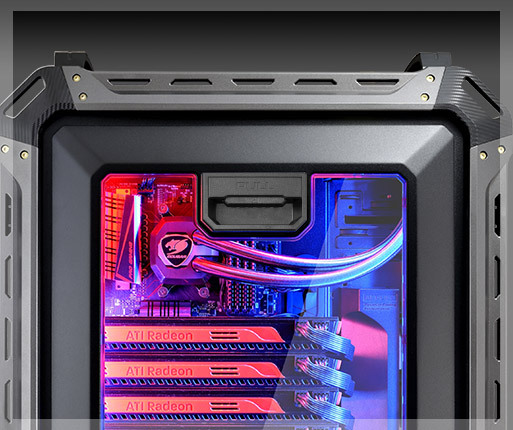 (recenzja)..."
"The Panzer Max is a fairly specialized case. 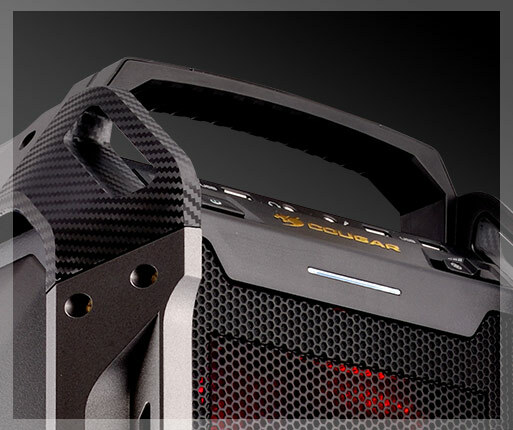 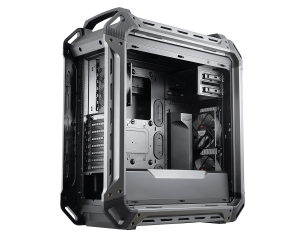 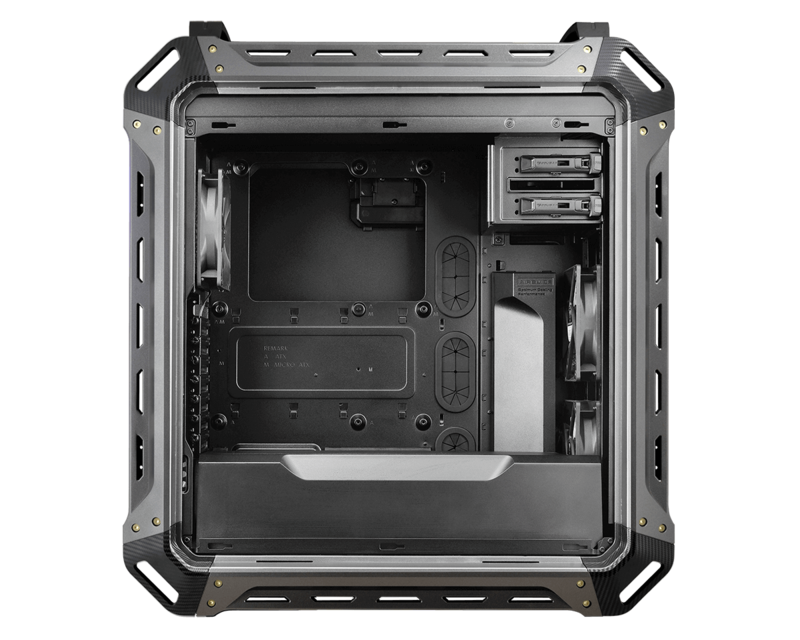 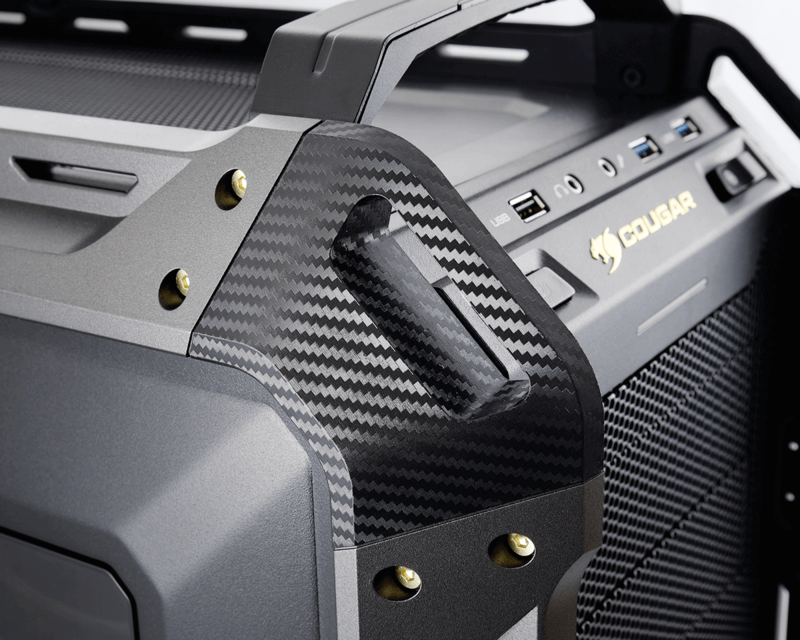 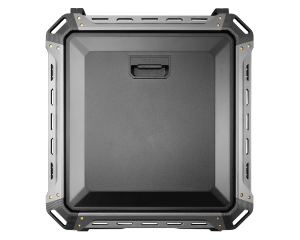 Either it's going to..."
"COUGAR PANZER MAX – is a good case made in the "military" style..."
"this case has a nice feel. 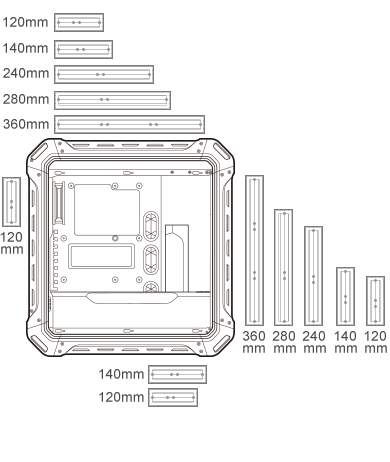 Its incredibly large and versitile. 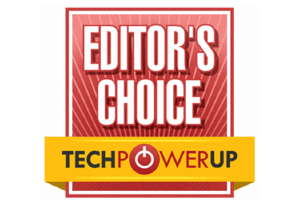 I ..."
"It has definitely paid off. This thing is gorgeous. 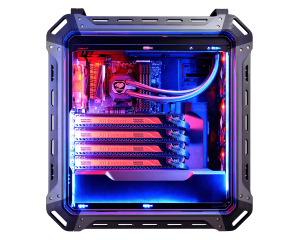 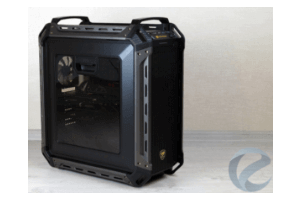 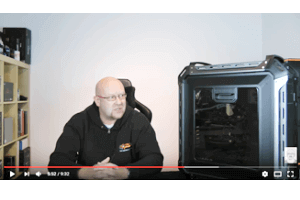 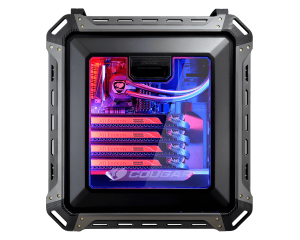 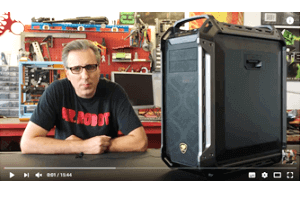 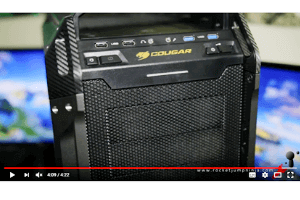 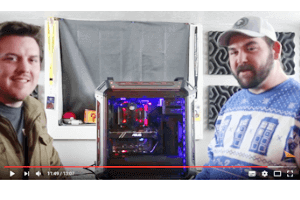 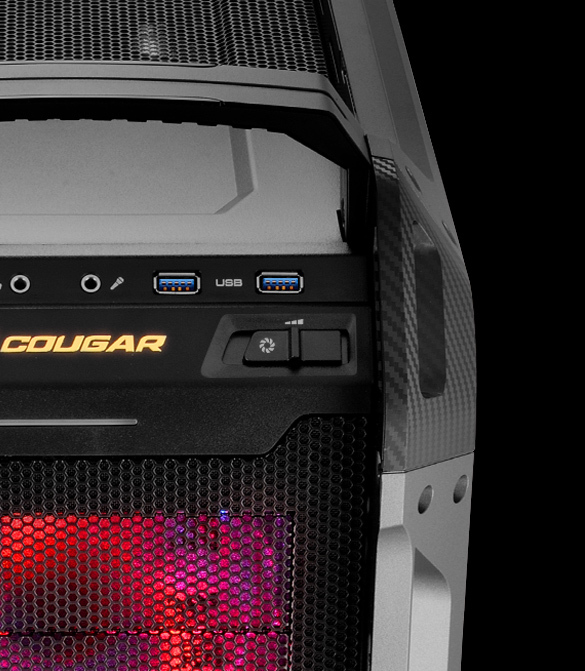 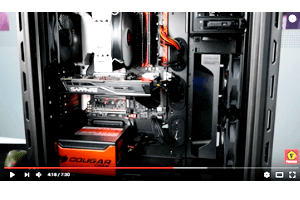 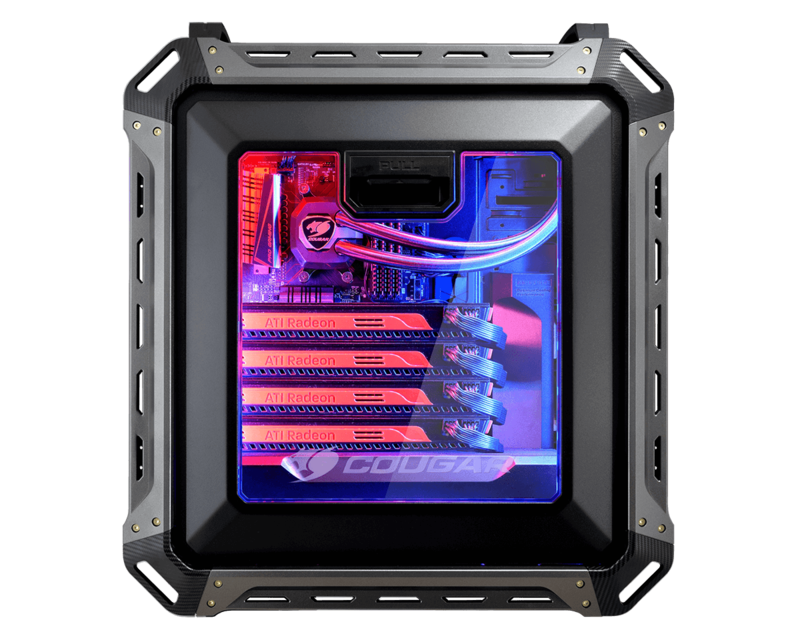 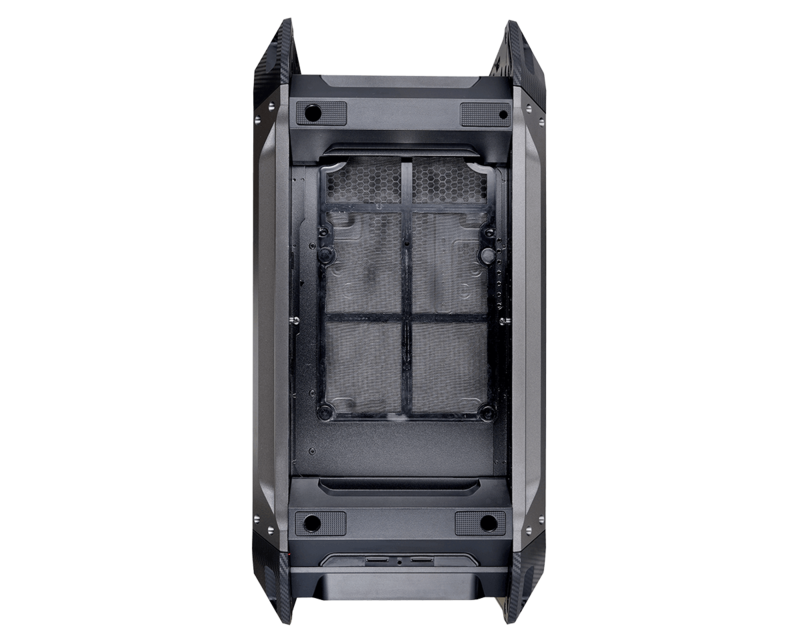 As you can se..."
"This would be a great case for anyone looking for great cooling p..."
"The Cougar Panzer Max is a beautiful-looking chassis. 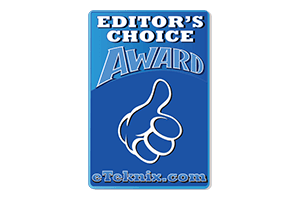 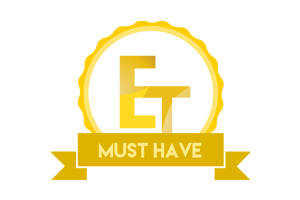 The name "t..."
"• Great for the price • Easy to remove side-panels • Subdue..."
"My first case review! 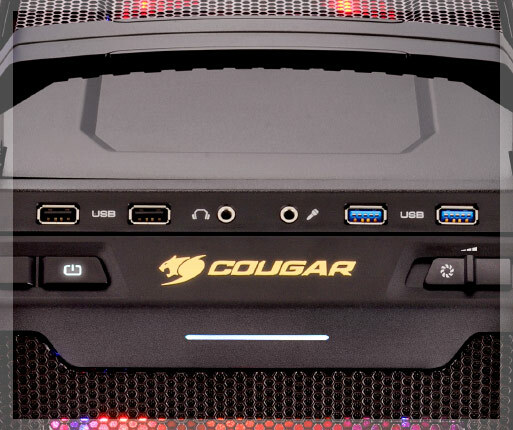 Plenty of space, easy to remove side panels..."
"The Cougar Panzer Max is one of the coolest chassis we’ve seen ..."
"The Panzer Max is a nice gaming case, with good features, and it ..."
"The price is appropriate and it reflects the quality and the bund..."
"The overall construction and finish is very good. 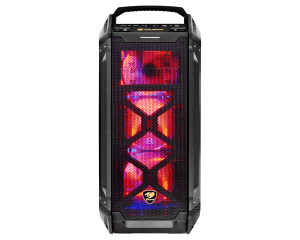 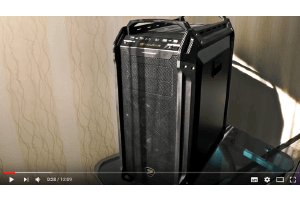 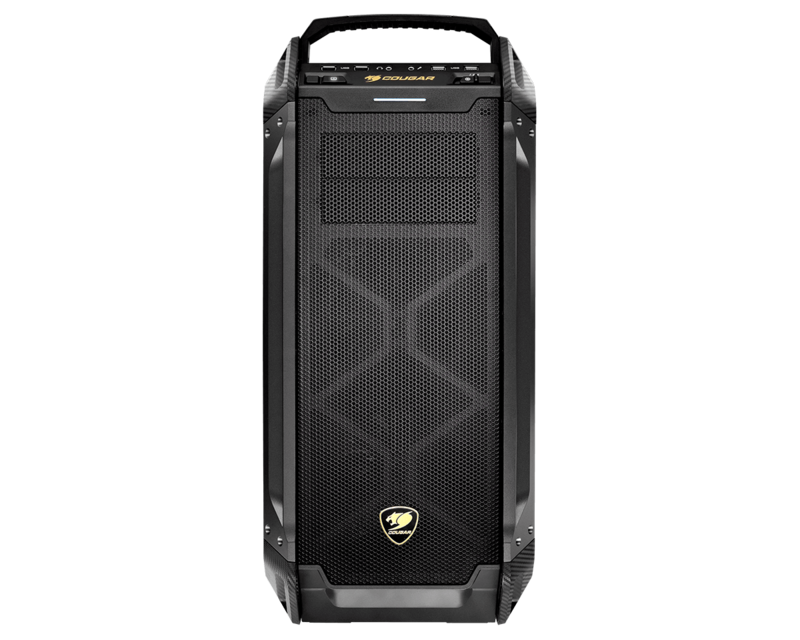 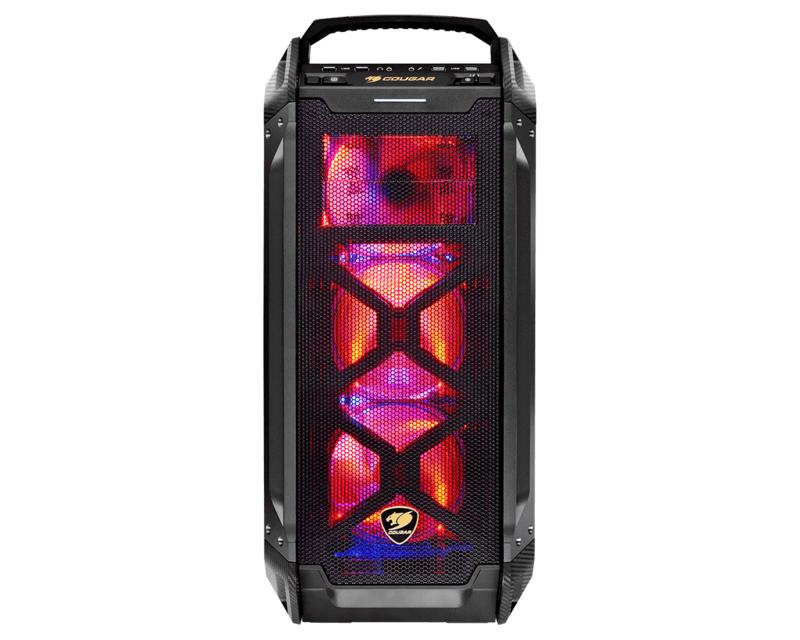 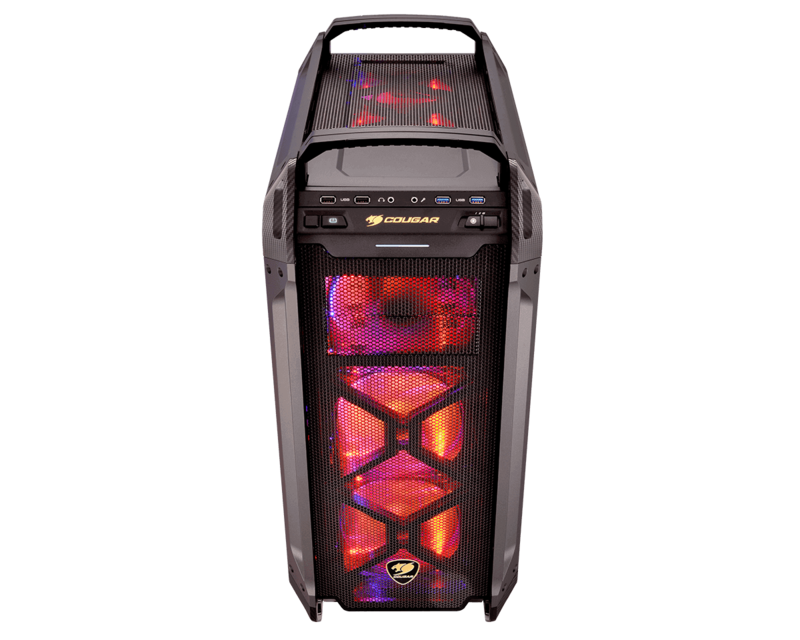 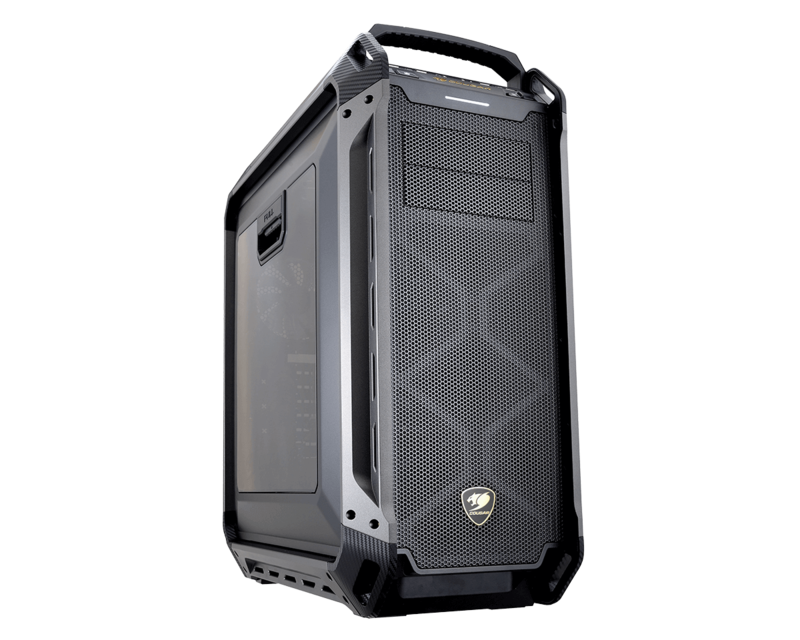 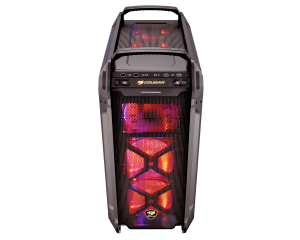 The Panzer Max ..."
"Overall the Panzer Max is a very sturdy full tower with plenty of..."